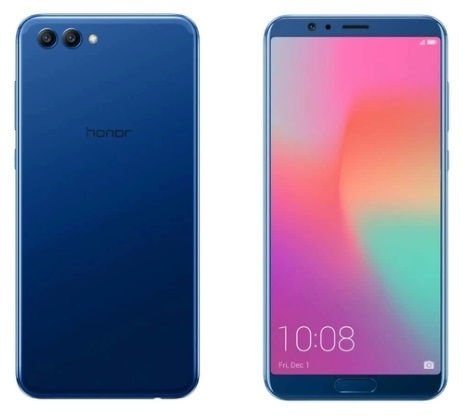 The must awaited Honor View 10 which was earlier launched in December last year at a global event in London alongside the Honor 7x, is all set to debut in India at an attractive price tag of INR 29,999. Honor has again offered a special price for India which also happens to be the global best price for the Honor View 10, which is otherwise available at 499 Euros in the European market. The phone will be up for grabs Exclusively on Amazon.in like the Honor 7X. With the world’s most powerful mobile AI processor and architecture, Honor View10 marks the beginning of a new AI era, surprising and delighting you in everything you do. AI powered by the new Kirin 970 chipsets understands what you do with your phone. From recognizing different scenes to make your photos better to optimizing the phone system to suit the way you use your phone, AI speeds up operations, improves ease-of-use and delivers the best results. The Honor View 10 will be priced at a highly attractive price of INR 29,999 for the 6+128 GB variant supporting storage expansion upto 256GB via microSD. The View 10 will be available in Navy Blue and Midnight Black starting 8th January exclusively on Amazon.in. Users can register for the open sale by going to www.amazon.in/honorview10. The device will be bundled with a 9v-2Ampere Quick charger, standard USB-C cable and a protective case and pre-attached screen-guard for additional peace of mind. The Honor View 10 will come with standard 12 month service warranty along with Honor’s best-in-class after sale facilities. The new processor makes AI functions and services immediately available to you, greatly enhancing user experience and improving productivity. Gamers can enjoy extreme performance powered by octa-core ARM Cortex CPU and a first-to-market Mali-G72 12-core GPU. Users can use the special Gaming Suite to boost gaming performance. Honor has partnered with leading game developers to optimize games for Honor V10, ensuring that games take full advantage of the hardware platform. Honor V10 features AI-powered Real-Time Scene and Object Recognition technology that can identify different types of scenes and objects. The camera instantly sets the best parameters by adjusting colors, contrast, brightness and exposure, to make your photos better than ever. Honor works with Microsoft to optimize Microsoft Translator for Honor V10. AI Accelerated Translator software delivers instantaneous translation without you needing to be online. New Kirin 970’s powerful NPU makes translation more than 500 percent faster than other smartphones running the same app. When we make a photo smaller to post on social media photo details are lost forever. With Honor V10’s AI-based Vision Engine, you can now use Image Resolution Enhancement feature to zoom in a low quality picture on social networks and make it clear again by increase the resolution. It works on popular apps like Facebook, Instagram, WhatsApp etc. A 3,750 mAh battery with a fast charger make Honor V10 ideal for heavy users. Thanks to the battery optimization with the help EMUI 8.0 and Kirin 970, users can enjoy multimedia for hours without having to worry about frequent charging. A new AI technology called Easy Talk distinguishes your voice from other noise during a conversation and helps reduce noise levels. In a noisy traffic environment, voice recognition rates can be raised significantly. You will hear clearer, wherever you are.